Home renovations can transform a living space, unveiling a brighter, cleaner, more useable home. But major home renovations can also go awry, and finding a good contractor is only the first step in success. Don’t let your new and improved house fade away under piles of construction debris. Reveal the masterpiece (and increased property values) with these renovation cleanup tips from Mr. Junk. Designate a debris pile. The easiest way to expedite the cleanup process is to start before you begin. Pile broken drywall, extra boards, and scrap hardware in one place for easy removal. Make sure to keep your useable materials separate from the trash pile, or you’ll waste time and money trying to sort the scrap. Stay safe. Every reno project has broken boards, abandoned nails, and other dangerous construction debris. Designate a specific trash receptacle for hazardous junk from your home renovation. After each day’s work, tour the construction site and toss in any broken glass, loose wires, and other dangerous materials. Always store hand saws and power equipment when not in use. Take advantage of the mess. How long has it been since your last seasonal clean out? It’s time to take advantage of all that extra motivation. Redoing the deck is the perfect excuse to reorganize storage sheds and outdoor closets. 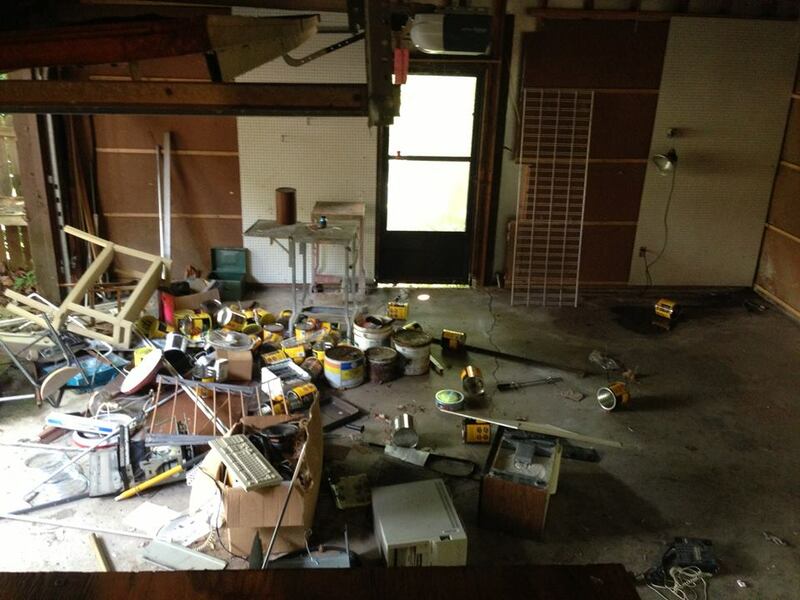 Create a pile near your reno debris for unwanted outdoor decor, rusted garden equipment, and other outdoor junk. Donate items in good shape to friends and neighbors. Leave the rest for the scrap pile. Call a professional. At Mr. Junk, we’re used to cleaning up dirty jobs. We know how to stay safe, work efficiently, and leave a construction site looking clean and freshly renovated. Unlike most junk removal companies, we don’t simply grab the big stuff and go. Our team sticks around to sweep up nails and dust after we’re done, leaving your home looking as good as new. Show off the finished product, not a work in progress. Call Mr. 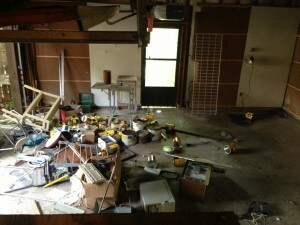 Junk to haul scrap materials and leftover junk from your renovation project.